Sea Green is possibly the most soothing calm color of the entire color spectrum. Imagine how wonderful it must be to be encompassed and surrounded by 1,200 sea green solar arrays as a student at C.F. 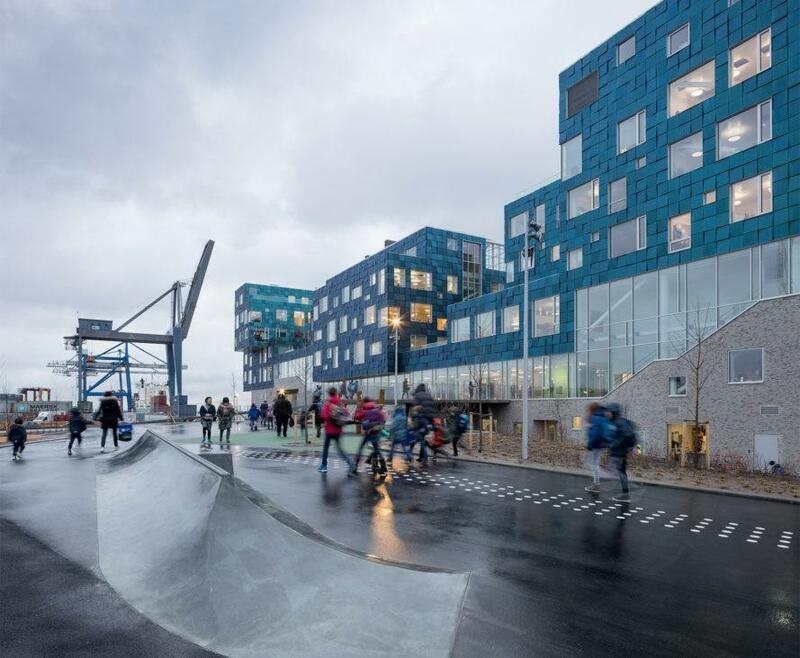 Møller-designed International School Nordhavn in Copenhagen. It is cleantech magic informing the architecture — not only soothing to the eye but refreshing to the student’s mind and body as the solar panels produce clean energy and keep the air cleaner while adding to the building’s aesthetic. The specific solar technology was developed by Swiss research institute EPFL (École Polytechnique Fédérale de Lausanne). In general, solar technology used as part of the fundamental components of a building is called building-integrated solar PV (BIPV). 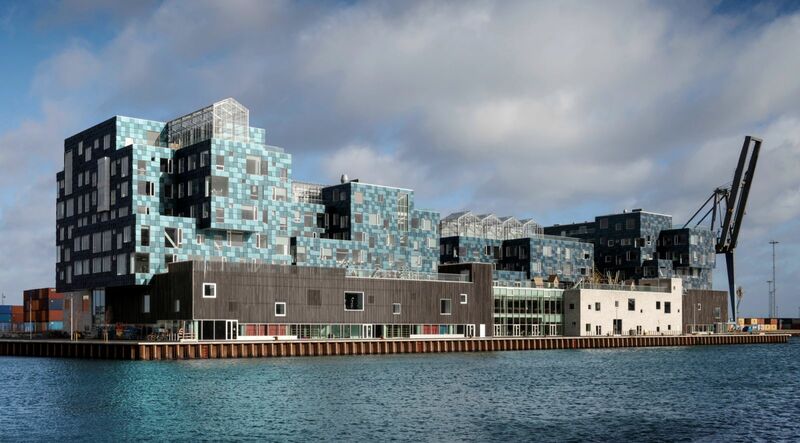 This is reportedly one of the largest BIPV projects in Denmark. The panels cover much the building. As such, the panels provide the school with 300 MWh of electricity per year, which meets more than half of the school’s energy needs. Andreas Schüler led this project from the start. He provides more details: “We have a free hand in developing our filters – we can achieve specific refraction indexes by combining different oxides. We work layer by layer, using between 3 and 13 layers in any given filter design. We have to find the right composition and thickness of layers so that they reflect the desired wavelengths while at the same time meeting the solar power requirements. There were problems such as the size of the machines. They had to be at least 100 meters (330 feet) long in order to apply the layers of the filter. “We looked for partners in Europe, but companies here weren’t willing to take the chance. It turned out that Emirates Glass had the factory, the machines and the desire to take on this project,” said Nicolas Jolissaint, an engineer at SwissINSO, an EPFL spin-off. 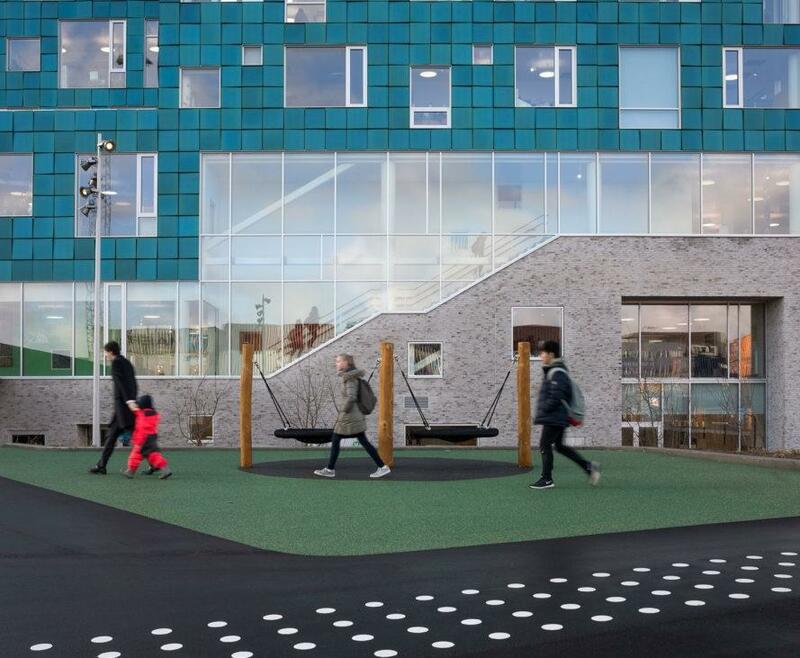 Emirates Insolaire was set up as a joint venture and is thus the entity that ended up producing the colored panels for the Copenhagen International School. As seen in the beautiful photographs via Adam Mork, the color of the panels is something else and brilliantly match the color of the sea at times. Topping 6,000 square meters of the facade are the real-life magic of solar panels that appear as if they are sea glass–hued photovoltaics.